LG | Reviews and products | What Hi-Fi? What Hi-Fi? Awards 2018 winner. 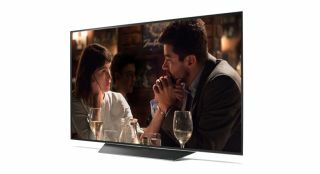 As far as 4K TVs go, this is a superb all-rounder. LG’s G7 ThinQ is a decent smartphone, but ahead of its time. The LG/Meridian partnership gets off to a promising start with this smart speaker. Excellent picture and superior built-in sound - but is it worth the premium? A smartphone that can sound as good as a dedicated music player? Yes please! We take a first listen to LG’s new Hi-Fi Plus DAC module, built for the LG G5. The HS9 carries a premium price tag, but does this soundbar boast enough sonic ability to warrant your cash? Has LG made the world's first great curved smartphone? OLED becomes affordable – and it’s lovely. Will the LG G3 help LG makes it way to the top of the smartphone pile? We went hands on to get our first impressions.